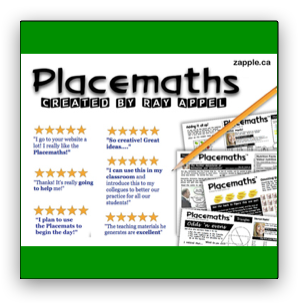 These Placemaths have been loved by many thousands of teachers and students across North America, to help make math fun! 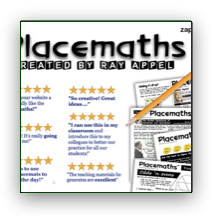 Ray has created a set of 24 large, creative, engaging Placemaths for you to use with your class. They are designed to help students take risks, have fun, and become more numerate. Enlarge to 11 x 17, place them on the students' desks and watch them engage in a variety of real life mathematical ideas from mapping, weather, shopping for toys, ingredients, games, making mobius strips, and much, much more! Woven throughout the Placemaths are learning processes that support mental math, estimation, visualization, communication and more! This digital resource will be sent to you electronically. Highest ratings on Teachers Pay Teachers! 4 out of 4 stars! "You really got the wheels in my head turning. Your clarity, enthusiasm, and resources were very much appreciated! Thanks again!" "Since being taken under your wing, I have never stopped learning or growing as a professional and you have given me the skills and confidence I need!" "Your website is fabulous! Thank you!" "You really captivated me and made me more comfortable teaching math!" "Thank you for leading by example!" "Thank you for supporting and encouraging my deep passion for teaching!" 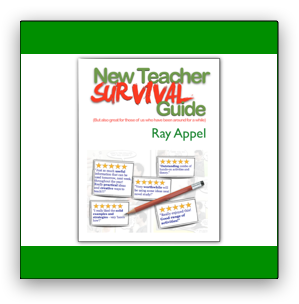 "I will include Ray Appel in my list of most influential learning and professional development experiences..."
"Thanks, Ray - you are a one-of-a-kind educator, with a non-stop, boundary-pushing, creative mind!" Ray Appel has been a graphic artist, and has appeared as an extra on TV shows and in movies such as Happy Gilmore and the X-Files. Ray has also been a Faculty Associate at Simon Fraser University (with a K-12 Module), taught grades 2-7, has been a district Math/Science Coordinator (K-12) and an administrator. As well, Ray has given numerous workshops on topics ranging from math, assessment to science and fine arts across Canada. How do we put our heart into teaching, while having a life? How can we do the best we can for students without burning ourselves out? What are some things we need to know before we really begin to teach How do we get out of the rut that’s so easy to get into? While looking at “timing”, Ray will give you back at least one month worth of valuable time! When Ray examines your Implementation Dip, where will you see yourself? How can you move beyond it? If we don’t feel engaged, how can the students feel engaged? 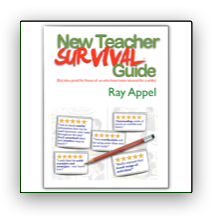 Whether you are in your first years of teaching, or in your last few years, Ray will help you examine your teaching practice by giving you some important ideas, big questions to ask, as well as tips and tricks. Why get stuck for years doing the same thing day-after-day-after-day-after-day? Popular! 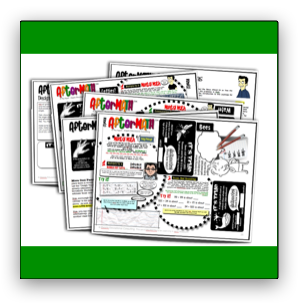 Ask the thousands and thousands of teachers that have used this digital resource! 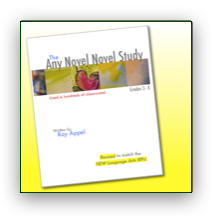 What happens when we use one novel for everyone in the class? Some students finish it in one night, while other students struggle with the first paragraph. 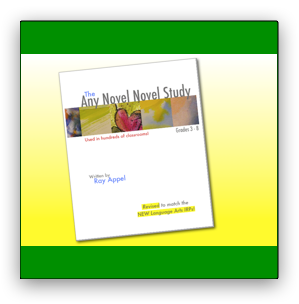 Most Novel Study packages out there have some cool ideas, but lack effective and powerful assessment methods, embedded differentiated learning, or pedagogy that values and respects learning. Here’s your opportunity to use materials that were developed by a teacher for teachers. This digital package fits in beautifully with the Reading and Writing Performance Standards too! Did you know that more than 50% of people on earth have never used a phone? We drink over 30 000 L of water in our lifetime? The Stanley Cup used to be only 18 cm tall? In our lifetimes, we eat over 35 000 cookies? Use these kid-friendly facts to help your students make the most of mental math and estimation! This digital resource includes ideas in the introduction for 16 different mental math and estimation skills for your students, with 8 packed and motivating large activity templates for your students to get engaged! If you liked the Placemaths, you'll love these AfterMATHs! Close to 50 pages, with an extensive, helpful introduction, website references, detailed solutions, and many ways to extend the eight activity templates! 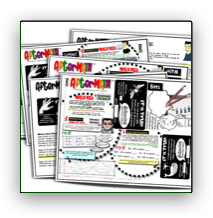 Meant to be used for more than one lesson a piece, these eight activity templates are open-ended enough to be used again and again in different ways. Packed with cool facts, and easy ways to do multiplication and division that make sense to your students! As well, lots of ideas to help with front-end rounding, annexing and adding zero, making tens, and more! 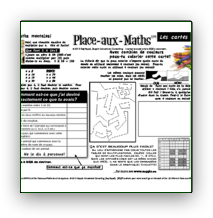 These Place-aux-Maths have been loved by many thousands of teachers and students across North America, to help make math fun! 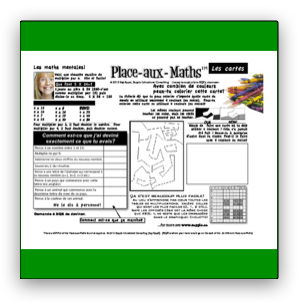 Ray has created a set of 24 large, creative, engaging Place-aux-Maths for you to use with your class. They are designed to help students take risks, have fun, and become more numerate. Woven throughout the Place-aux-Maths are learning processes that support mental math, estimation, visualization, communication and more!